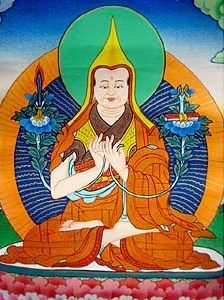 Enlightenment means developing the compassion of Chenrezig, the wisdom of Manjushri and the power of Vajrapani. This Jenang gives blessings to develop these qualities as manifested in the great 14th century yogi and scholar, Lama Tsong Khapa. There is no ongoing meditation commitment with this Jenang.